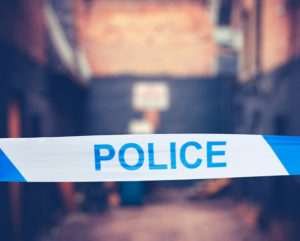 Police officers are increasingly being used as the service of default in responding to people with mental health problems, a report by Her Majesty’s Inspectorate of Constabulary and Fire & Rescue Services has confirmed. The report, ‘Policing and Mental Health: Picking Up the Pieces’, makes it clear that while the police service is doing a good job in difficult circumstances, there are concerns over whether officers should be involved in responding to mental health problems at the current level. The report emphasises that there needs to be a radical rethink and a longer-term solution to what has become a national crisis. Brian Booth, Chairman of West Yorkshire Police Federation, said: “Having read the HMICFRS report, all I can think is “at last”. At last some formal recognition of the issues our frontline officers have being dealing with over the past few years. Speaking to our members within West Yorkshire highlighted to me that the issues raised in the report are accurate. Frontline officers are frustrated and fatigued with how they are being misused. “In an ideal world, the initial response would still be with the police and as soon as the individual in crisis is safe, then the mental health experts should take over entirely, allowing the officer to resume to other police duties. “We need 24/7 access to Mental Health Support Services who have a statutory duty to take the lead on all reported incidents. “Shrinking budgets in social care have led the police service to be the first port of call for those in mental health crisis. As mental health practitioners go home at 5pm or at the weekend, the police have been the only public service to pick up the pieces. “This – on top of austerity cuts to police funding – has led to a service that cannot cope with demand. “Police officers are often left looking after those in mental health crisis for many hours waiting for mental health practitioners to take over, meaning they are not available to deal with other equally important areas of policing. “We simply cannot leave a person in crisis until we hand them over to the trained professionals. This cannot be right and should not be allowed to continue. “The Government needs to listen to the HMICFRS and make changes now for the better of society. HM Inspector of Constabulary Zoë Billingham said in the report: “We cannot expect the police to pick up the pieces of a broken mental health system. “Over-stretched and all-too-often overwhelmed police officers can’t always respond appropriately, and people in mental health crisis don’t always get the help they need. “People in crisis with mental health problems need expert support – support that can’t be carried out in the back of a police car or by locking them into a police cell. “All too often, the system is failing people when they most need help. This is not a problem that the police alone can solve. Other services need to stop relying on the 24/7 availability of the police. “We have grave concerns about whether the police should be involved in responding to mental health problems to the degree they are.